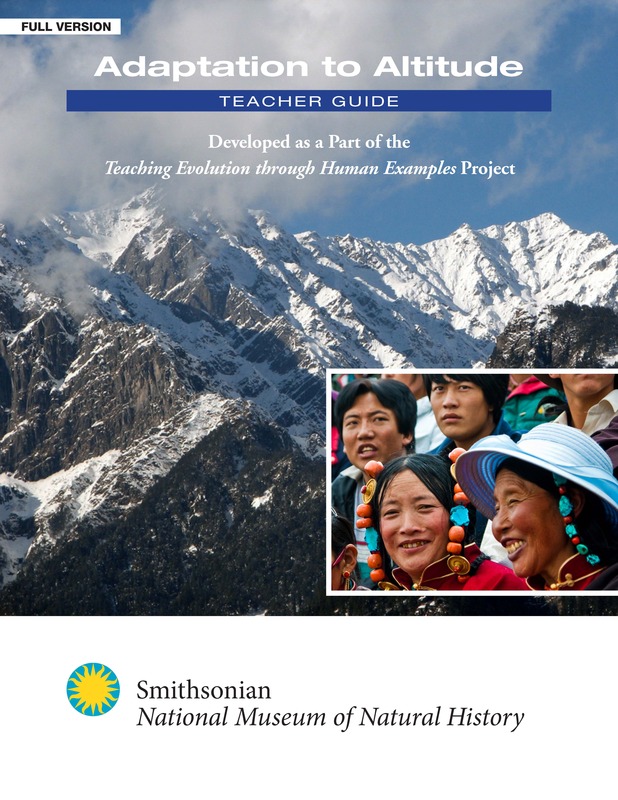 The "Teaching Evolution through Human Examples" (TEtHE) three-year exploratory research and development project was funded by National Science Foundation Discovery Research K-12 grant #1119468. 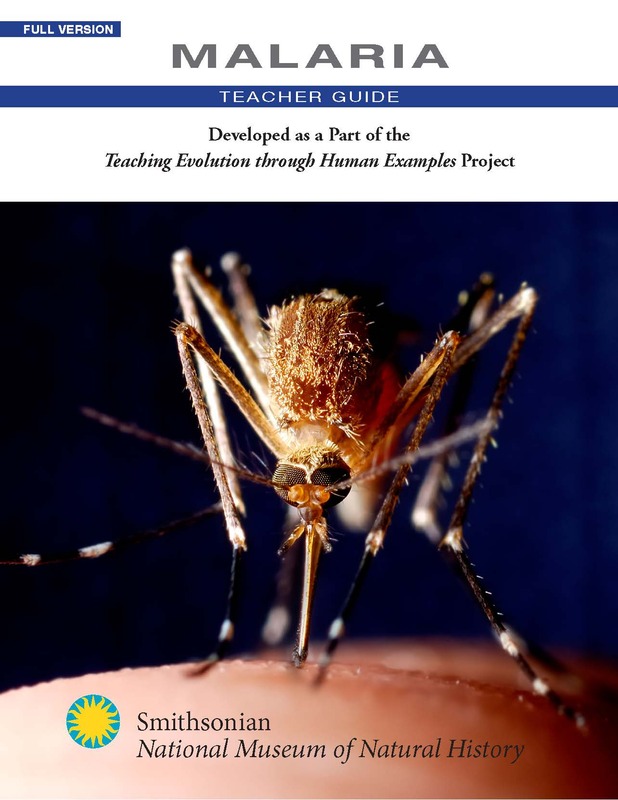 The project has created four curriculum units for Advanced Placement (AP) Biology classes, aligned to the learning objectives, using human case studies to teach core evolutionary principles. The curriculum units are: (1) Adaptation to Altitude, (2) Malaria, (3) Evolution of Human Skin Color, and (4) What Does It Mean To Be Human?. 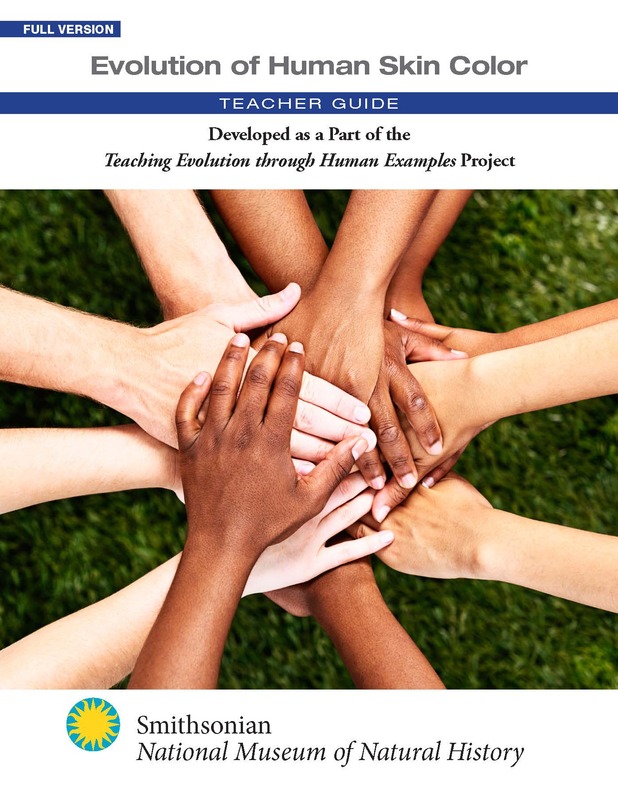 The project has also created a CRS (Cultural and Religious Sensitivity) Teaching Strategies Resource to help teachers create a comfortable and supportive classroom environment for teaching evolution. More information about the project can be found here. Any opinions, findings, and conclusions or recommendations expressed in this material are those of the author(s) and do not necessarily reflect the views of the National Science Foundation. All of our resources are downloadable here for free! You can also read online or download a research article in Evolution: Education and Outreach published in April 2018 about the effectiveness of these materials. The curriculum units contain 4-5 lessons and are designed to be taught over 5-9 days (depending on the unit, whether or not the FULL or CONDENSED lessons are used, and whether or not optional steps are included. Each version has an accompanying powerpoint file for teaching purposes and a student workbook where all student handouts are collated. Adaptation to Altitude: Students learn how to devise an experiment to test the difference between acclimation and adaptation; investigate how scientific arguments show support for natural selection in Tibetans; design an investigation using a simulation based on the Hardy-Weinberg principle to explore mechanisms of evolution; and devise a test for whether other groups of people have adapted to living at high altitudes. Evolution of Human Skin Color: Students examine evidence for the relationship between UV and melanin in other animals; investigate the genetic basis for constitutive skin color humans; learn to test for natural selection in mouse fur color; investigate how interactions between UV and skin color in humans can affect fitness; design an investigation using a simulation based on the Hardy-Weinberg principle to explore mechanisms of evolution; and explore data on migrations and gene frequency to show convergent evolution of skin color. Malaria: Students examine evidence to compare four different explanations for why many malarial parasites are resistant to antimalarial drugs; investigate how scientific arguments using G6PD data show support for natural selection in humans; design an investigation using a simulation based on the Hardy-Weinberg principle to explore mechanisms of evolution; and apply their understanding to other alleles that have evolved in response to malaria. What Does It Mean to be Human? : Using a strong nature of science component, students use different types of data to infer / interpret phylogenies among domains, within the vertebrates, and within primates while reflecting on how they answer the question “What do you think it means to be human?” and choose a characteristic that changed substantially in the human family tree to develop a scientific argument based on evidence for when the character evolved. 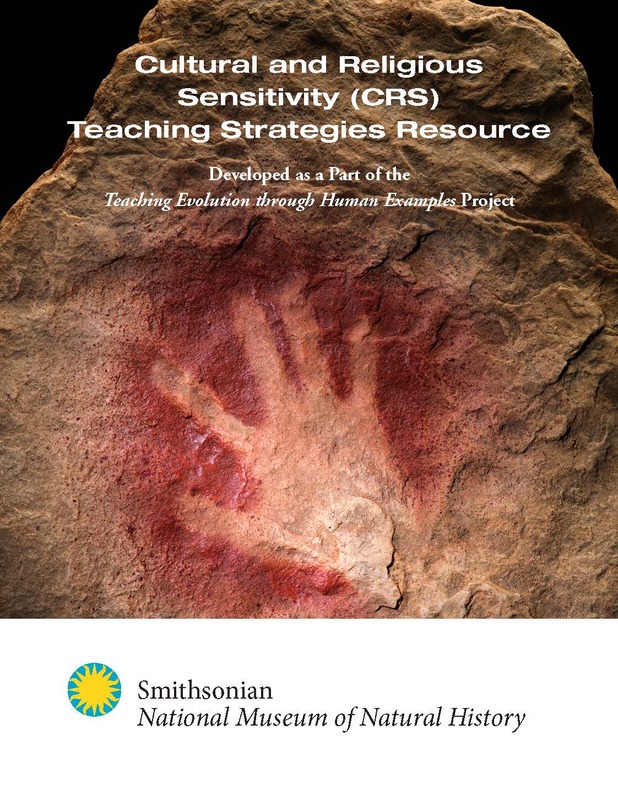 The Cultural and Religious Sensitivity (CRS) Teaching Strategies Resource is intended to help create a nonthreatening classroom environment where an opportunity for understanding the scientific account of evolution is possible, and to both encourage and help equip high school teachers to promote positive dialogue around the topic of evolution in their classrooms. 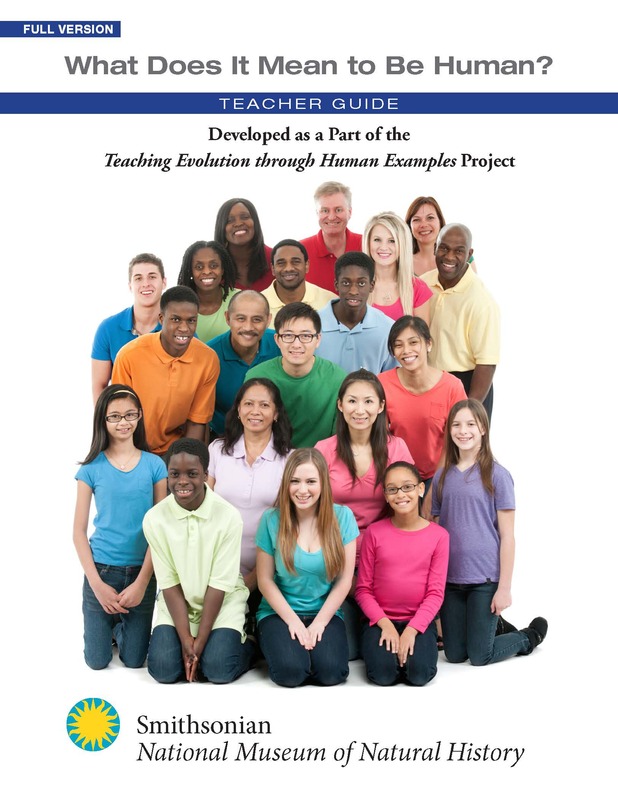 The CRS resource complements the TEtHE curriculum units created for AP high school biology courses. However, the CRS resource should also prove valuable for use with general introductory biology students. Part 1 provides concise foundational information on topics including insight into the nature of science as pertinent to managing a conflict between science and religion; the range of creationists views; the variety of possible relationships between science and religion including examples of how individuals accommodate evolution and religion; and the historical context and background on legal cases dealing with the teaching of evolution. For teachers seeking a proactive approach that acknowledges the cultural and religious controversies and encourages a classroom exploration of the impact of these controversies on the understanding of evolution, Part 2 provides activities to engage students in two 50-75 minute directed classroom discussions. Each classroom activity has an accompanying powerpoint file for teaching purposes. Classroom Activity 1, Directed Discussions: “Why Study Evolution”, is designed to be used at the start of instruction on evolutionary theory in classrooms where teachers are aware that many of their students have been exposed to only negative and/or mistaken notions of evolutionary theory and to provide an opportunity for students’ concerns to be acknowledged. (teacher) "This was the first time I have taken class time to address the question 'Why study evolution?". In years past, I took for granted that everyone would be on board, and if they were not there was not much I could do about it. I appreciate the way this structured lesson helped me slow down and acknowledge that certain people have doubts about the evidence for evolution. Those doubts should not have to be muffled. There is space for such dialogue, without diminishing the significance of evolution to the study of biology". (student) "It just kind of brought you to think about what your views on evolution are because I'm pretty devoutly religious. It was interesting to think about like, how my beliefs can mesh with evolution and I could still believe in science." (student) "I really like how the lessons ease you into evolution, the idea of it, because most people are not open to learning it, so it's kind of helping you not to have to be bombarded..."
Classroom Activity 2, A Historical Role Play: “How Do People Think about Evolutionary Theory”, is designed to be used at the end of the instruction on evolution, and to reinforce that instruction, in classrooms where teachers believe that anti-evolutionism is a non-existent or minority viewpoint. (student) "I was a little concerned at first because I knew a little bit of background about this debate and I knew it would have a lot of religion in it and I'm religious myself so I was a little worried about people bashing my views, but it didn't really get to that so I was happy." (student) "It was interesting to have to defend a point of view that you might not agree with in your everyday opinions. It just makes you think about the different views and like how you could like see how that could work but from the modern standpoint that we had to do, how it could be wrong." (student) "I considered it a little bit of a capstone because we learned about evolution and then we had to put in what our current response would be to theirs so we had to formulate our own kind of argument based on what we have already learned..."
The curriculum units were reviewed by teachers, other educators, and scientists, field tested (round 1) by 5 teachers, revised, and then field tested (round 2) by 15 teachers and 470 students in 10 states across the US. Our preliminary results indicate that the curriculum units increased understanding of, attitude towards, and interest in evolution. Most of the students surveyed indicated that they enjoyed learning about evolution through human examples as much or more than using other examples. The CRS resource was field tested by a subset of 8 of the curriculum unit field test teachers and 160 students, and we found a greater effect on students understanding of evolution for those students who experienced one of the in-class CRS activities. We are very grateful to our field test teachers and their students! Thanks to: Sydney Bergman, Lisa Boyer, Christy Clark, Donna Considine, Melissa Csikari, Frank Fitzgibbon, Matthew Foret, Lauren Fuller, Cindy Gay, David Knuffke, Alison Loeper, Melinda Malcore, Susan Park, Eileen Pascucci, Tamara Pennington, Phyllis Robinson, Jennifer Shake, and Suzanne Sikes. We are also grateful to our expert educators: Nikki Chambers (West High School, CA); Chelsea Crawford (Fremont Union High School District, CA); Mark Terry (The Northwest School, WA); Brad Williamson (UKanTeach Program, KS), and David Pinkerton (independent educational consultant) - and scientists: Cynthia Beall (Case Western University); Holly Dunsworth (University of Rhode Island); Carla Easter (NGHRI); Nina Jablonski (Pennsylvania State University); and Mark Schwartz (NYU School of Medicine) for reviewing multiple versions of our curriculum units. We are also grateful to Jennifer Clark (Illustrator), Norma Oldfield (illustration research assistant), Anna Ragni (Illustration research assistant), and Matthew Ferry (data collection and entry assistant). Project PI is Briana Pobiner (Smithsonian Institution), and project co-PIs are Rick Potts (Smithsonian Institution) and Bill Watson (Diocese of Camden Office of Catholic Schools). Senior Personnel are Paul Beardsley (Cal Poly Pomona - author of curriculum units); Connie Bertka (Science and Society Resources - author of CRS Resource); and Jay Labov (National Academy of Sciences) and the National Academy of Sciences Teacher Advisory Council; Christopher Lazzaro (College Board); and Kathryn Race (Race and Associates - project evaluator). Advisory Board members are: Jennifer Bricken (Howard Hughes Medical Institute); Juliet Crowell (Smithsonian Institution); Dennis Liu (Howard Hughes Medical Institute); David Long (George Mason University); Sharon Lynch (George Washington University); Lee Meadows (University of Alabama at Birmingham); and Anna Thanukos (UCMP Berkeley).